I’m not a great buyer of quilting or fibre arts books, mainly because they’re rather expensive and generally don’t tell me anything I couldn’t figure out for myself or get from the QuiltArt group online. I do have a subscription to Quilting Arts Magazine which is worth it’s weight in gold (and it’s rather heavy – glossy pages full of pictures), but I generally steer clear of most published quilting stuff. Most books, to be honest, waste about twenty pages on sewing basics like how to straighten your fabric, how to iron, and using a rotary cutter and ruler. Frankly, those pages are largely pointless in books touting more advanced techniques because few rank beginners will even try such intricate projects and if they do, they’re smart enough to pick up a good book on basics like the Quilter’s Complete Guide that sits on my shelf as I type this post. Lately, though, I’ve been hounded by the feeling that I’m repeating myself. It’s not a pleasant feeling for an artist and it carries the direct implication of stagnation and boredom, both of which are rotten bedfellows. So I’ve pushed aside my production line work for a bit to focus on rejuvenating my self and work and producing some original pieces for galleries and the show. I spotted these two books on the shelf in the local bookstore monopoly and was mesmerised upon opening them. Shunning the basics, for the most part, they delve right into a more advanced treatment of fibre arts, including specifics on adhesives, image transfers, construction, embellishment, alternative construction techniques, creative use of paint and dyes and so on. 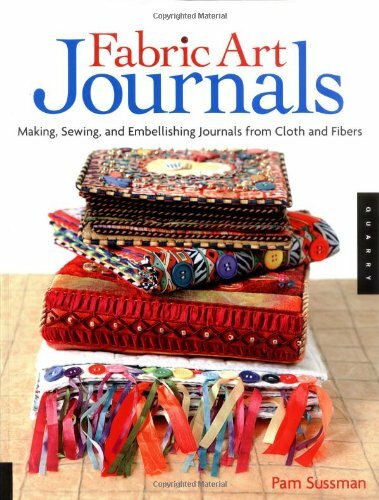 The Fabric Art Journals book was particularly helpful as it liked my love of and study of books with my work in fibres. I spent time in university studying books and libraries, specifically medieval books and monastic libraries, and I’ve never really lost my fascination with them. The same forms are used for making fibre books as for making medieval tomes (coptic, basic binding, etc.) and are translated into a workable template for embellishment and modification. Exactly how I’ll use this info is another post entirely, but suffice it to say that it was well worth its price, both in terms of its inspirational and informative value. 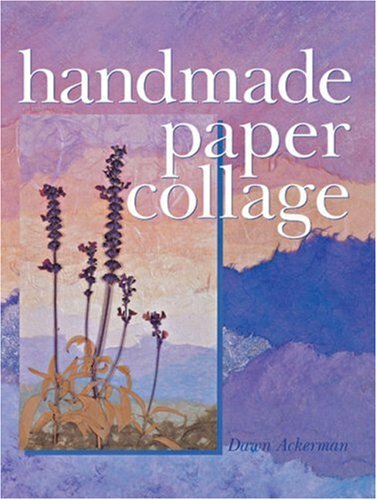 The second book, Handmade Paper Collage by Dawn Ackerman was a whim based on the work I’ve been doing with integrating paper into my fabric work. I needed a book that showed me the possibilities of paper, its creative potential and the specifics of which sort of adhesive to use, how to integrate image transfers, and a bit of information about framing and conserving the work (not much point in making and selling something that will decay in short order). The main reason I got it was the pictures. Her style of working with paper is fairly close to my own mechanations with fabric and I thought that maybe her information would jive nicely with my own take on things. Having read it through, I have to say I’m not disappointed. What exactly I’m going to do with it I haven’t yet decided. I think the concepts need a little more time percolating in my mind before they integrate into my work. I do know that they seem to be forming some sort of amorphous mixture with the ideas in the Fabric Art Journals book. The results should be interesting! Previous Post Come on, Men! Might be fun to leaf through. Not much to do with fabric, though. Our library has it; maybe yours does too.